My love for coffee started in college and has only gotten stronger over the years as my family grew. It’s how we start every morning, and if I’m honest I usually have a second cup most afternoons. 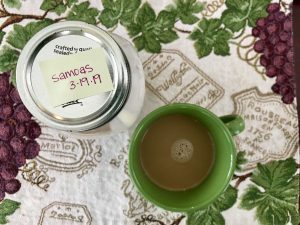 I take my coffee with both sweetener and creamer, and am always looking for healthier alternatives to keep my coffee tasting the way I like. 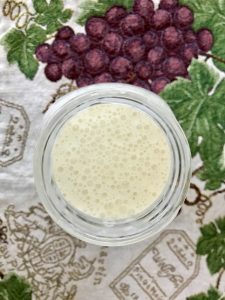 As is the case with a lot of homemade things, it will require a little more time and money than picking up a pre-made coffee creamer, however, you will taste the difference. 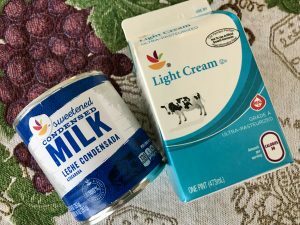 Now don’t get me wrong, I’m not knocking the pre-made creamer, I buy that a lot myself, however, if you’re looking for a healthier alternative give this creamer a try. 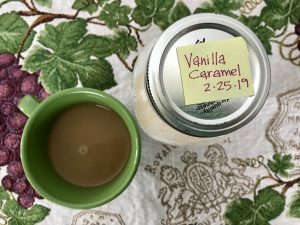 Be sure to label the top of your mason jar with the same date found on the milk or cream you use. This will be your use by date for your coffee creamer. I usually do this with a small post-it so it’s easy to remove when the creamer is gone so that I can easily clean my mason jar. 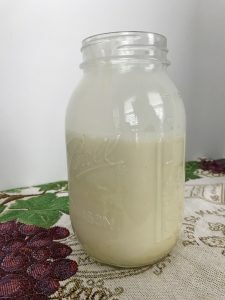 The reason I like to keep these creamers in a mason jar is because the condensed milk will separate a bit in the fridge so you want to be sure to give the creamer a good shake (or stir) before using. 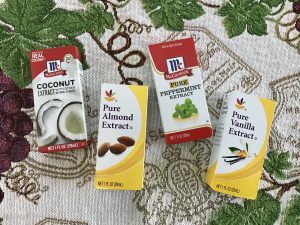 There are a lot of different flavored extracts out there these days, it’s not just vanilla and peppermint anymore. I even saw pumpkin pie spice extract, which got my wheels turning for a fall flavored coffee creamer! The syrups and ice cream toppings have a lot of different flavors too, raspberry, orange and even a Dr. Pepper flavor. The possibilities of combinations are endless. 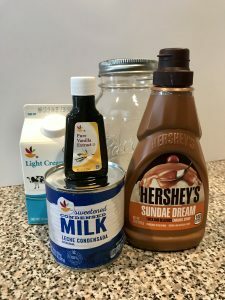 If you want to get experimental with your coffee creamer I would suggest starting with 1 teaspoon of extract to 1-2 tablespoons of syrup for a good rule of thumb. Then adjust from there to your liking. If you discover any new combinations be sure to post below, I’d love to try them out! Now while we’re talking about coffee I wanted to give a few more little tips I use and love. 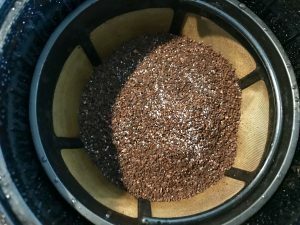 If you brew a pot of coffee, or have a reusable k cup filter you fill with ground coffee each morning all you need to do is add a sprinkle of table salt to the top of your coffee grinds before brewing. If using the traditional k cup pods, a sprinkle of salt in the bottom of your coffee mug before brewing will also work. Salt in coffee probably sounds weird right? Wrong!! It’s amazing, it’s changed coffee for my husband and me. The small sprinkle of salt helps to take away any bitterness the coffee has and makes for a smoother, more delicious coffee. My best friend turned me on to this and it’s been great for me. I am admittedly very bad about eating breakfast and if I do it’s never before my coffee. Now whether or not you eat breakfast might not matter, this tip is mostly for anyone who gets an upset stomach from drinking coffee. Coffee is a stimulant and that’s why it can upset your stomach. Adding a good splash of the protein drink to your coffee helps your body to digest the coffee better, and keeps you fuller until you get around to eating breakfast. 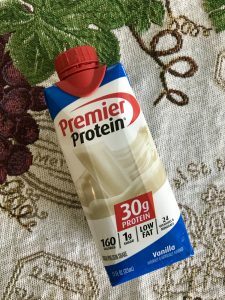 I like to use Premier Protein, they have vanilla, caramel and chocolate flavors. 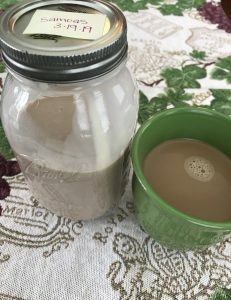 This way you can marry whatever flavor protein with whatever flavor creamer you have on hand for a well balanced smooth coffee that won’t taste different from your regular cup of coffee. This has less to do with your coffee and more to do with your actual coffee pot. Whether you use a full pot of coffee or a k cup this tip is for you. At least one a month be sure to run a white vinegar and water mixture through your coffee pot to clean it. I like to use a 50/50 vinegar to water ratio if it’s been awhile since I cleaned my coffee pot. Once you run the vinegar and water solution through the coffee maker I like to then just brew plain water through a second time to be sure it’s good and clean. Then you’re ready to brew your coffee like normal. The same way I like to add salt to my coffee grinds you can also add different dried spices. This will give your regular coffee more or a flavored coffee feel. My favorite is to make chai flavored coffee using a mixture of warming spices. To the top of my grinds I add a small sprinkle each of cinnamon, cardamon, clove and nutmeg. Then brew as you usually would, the aroma alone will be delicious! If you’re hesitant to brewing your coffee with spices, start with just a pinch of cinnamon to see how you like it. When using flavored coffee, I like to use the plain base sweet creamer to be sure and not offset the flavors. However, in the fall I like to sprinkle in pumpkin pie spice to the grinds, which works well if you’re also planning to use pumpkin spice creamer with your coffee. When using spices in your coffee don’t forget your sprinkle of salt too. 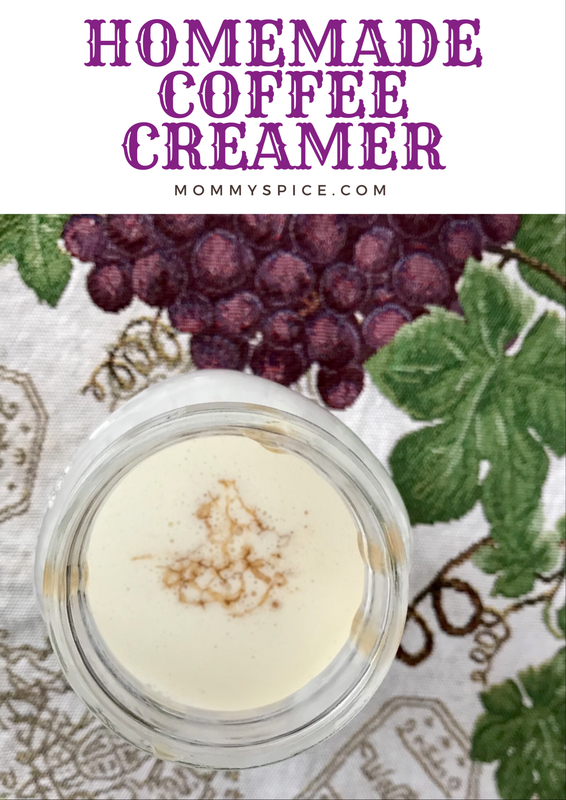 I hope you find these tips helpful and enjoy the homemade creamer as much as I do. Happy coffee drinking everyone!